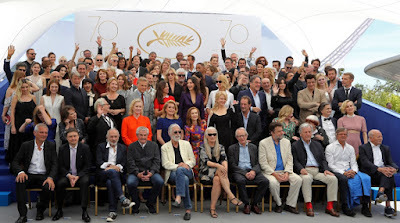 The 70th Festival de Cannes is notable in one respect, it has a reputation to showcase quality. 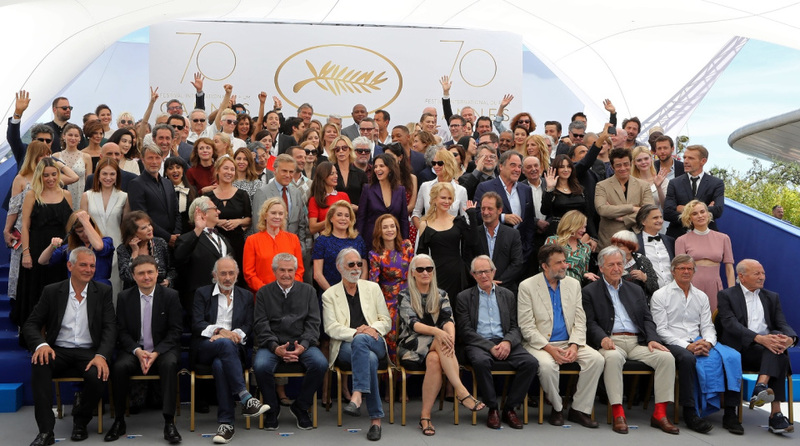 Of 22 films, only three are made by women who have proven themselves at Cannes by being previously selected and will continue to be accepted. Getting into that revered spot is one of the mysteries of the selective process, and when doing so you must retain the reverence that got you there to begin with. Quality and equality are two themes that were discussed at seminars on women in film sponsored by the "Swedish Film Institute" and "Women and Hollywood". We have entered the age of Video on Demand (VOD), and streaming platforms such as Netflix and Amazon are now in the competitive market for awards. One of the opening films Wonderstruck by Todd Haynes was produced by Amazon based on the novel by Brian Selznick about two young children growing up in different times that wish their lives had turned out differently. Another early film at the festival is Okja from Korea produced by Netflix about a young girl who takes care of a very large animal until a conglomerate decides to transport it to the New York. Jane Campion and Ariel Cliemans’s Top of the Lake China Girl , second season also debuted at Cannes starring Elizabeth Moss. Moss is featured in the official competition film The Square by Swedish director Ruben Ostlund, whichs stands out as being one of the top films and prime contenders for the Palme d’Or. The absence of women directors at Cannes paved the way for the inclusion of this television series by Palme d’Or winner Jane Campion, the only woman ever to have done. I looked forward to seeing Takeshi Miike’s 100th film - Blade of the Immortal, and was sadly disappointed. In order to relate a tale of an immortal male warrior, Miike starts off with a battle scene in black and white cinematography that will later repeat in color – a master swordsman Manji (Takuya Kimura) single handedly kills a mob of countless warriors led by the dastardly Anotsu – (Sota Fukushi) that have murdered his sister Rin (Hanna Sugisaki. The frequent samurai grunts, sounds of clashing blades and battle scenes almost seem as if they will never end. Le Redoutable, the name of an historic French submarine, is the title for Michel Hazanavicius film on the gradual drowning of an 11 year relationship that began between Jean Luc Godard when he was 37 and Anne Wiazemsky , who was 17. Louis Garrel plays Godard and Stacy Martin plays Wiazemsky. From the beginning it is clear that Anne worships Godard and is content with being in his shadow but as he surmises in the beginning, she will eventually leave him. The main point of the film is how Godard might have transitioned from a filmmaker who made “fun films” like Breathless, more intelligible films such as Contempt to the didactic and difficult political tableaux films like Tout Va Bien. To compensate from some of the theatrical antics or difficult emotional states that films set out to portray this year, iFaces/Places by Agnes VArda and JR- was a delightful out of competition film. The two artists with 50 years between them set out to create open air photography and paste huge photographic murals on edifices such as cargo ship crates, or a condemned housing area where miners used to live in a small village in France. The interaction between the two artists is playful and contemplative. Probably the one mistake Varda makes is in bringing JR to meet Jean Luc Godard, an old friend that unsparingly doesn’t open his door. There are always surprises at Cannes at this very French film festival that make up for the serious tone of the competition – a musical Jeannette: The Childhood of Joan of Arc by French director Bruno Dumont, and another musical comedy on Notre Dame de Paris inspired by the novel by Victor Hugo based on the successful production in the French theatre. Next week more from the Cannes Film Festival.